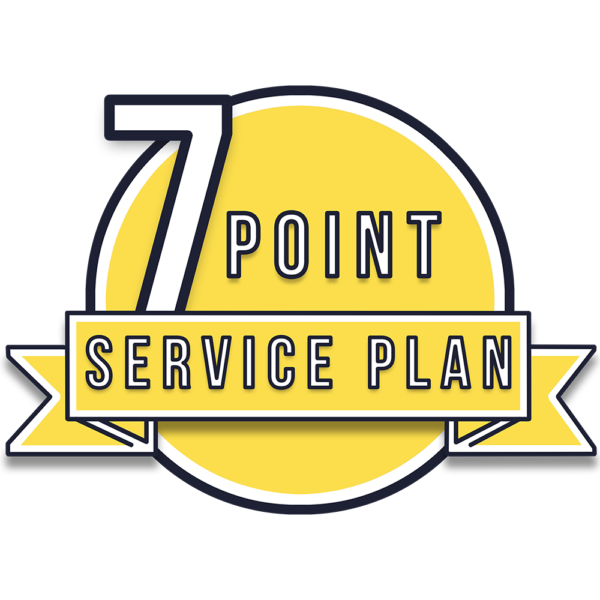 We at Pot-O-Gold are launching our new 7-Point Service Plan. Pot-O-Gold’s new service plan encourages and promotes a better standard of portable toilet service. We hope our new 7-Point Service Plan will give our customers peace of mind when choosing Pot-O-Gold for their portable toilet needs. Our drivers will place your portable toilet in a convenient and accessible location on level ground to prevent instability. The holding tank will be pumped and all debris will be removed from the inside of the unit. The holding tank will be refilled with water and eco-friendly blue deodorizer. Every interior surface of the porta potty including the urinal and floors will be sprayed with our special disinfectant, cleaned & dried. The inside of the unit will be sprayed with our special deodorizer which keeps the porta potty smelling fresh for up to a week. The toilet paper dispenser will be restocked with 2 fresh rolls of toilet paper on every service. Our drivers will inspect every unit for any damages in need of repair.